Two years ago, I asked the question, will ebooks replace the printed book? Will we turn into a world of readers who stare at the glowing screen, instead of burrowing our noses in the musty pages of a hardcover? And I predicted that the good old printed book will never go extinct. Not completely. If vinyl records are still being used by music lovers, why wouldn’t printed books stick around for all of us book lovers? And it looks like, so far, the evidence bears me out. I obviously have a vested interest in whether ebooks are read by anyone – I’ve published several short stories in this format. But, as a reader, I will never lose my fondness for actual pages. And recently Time magazine reported that printed books are not dying, despite all dire predictions. And, as a bonus to me, ebook sales are still increasing alongside. So the conclusion basically is–ebooks are a great, portable complement to printed books. People don’t feel like they have to choose only one or the other. And really, that’s great. There’s no reason this has to be an either-or situation. It just makes a good story to declare this an all-out war. Of course, this study is just a snapshot of how things are right now. Everything and anything could change in the future. People might start exclusively buying ebooks. Or ebooks might just turn out to be a fad after all. But at the moment, it looks like both the printed book and the ebooks have staying power. 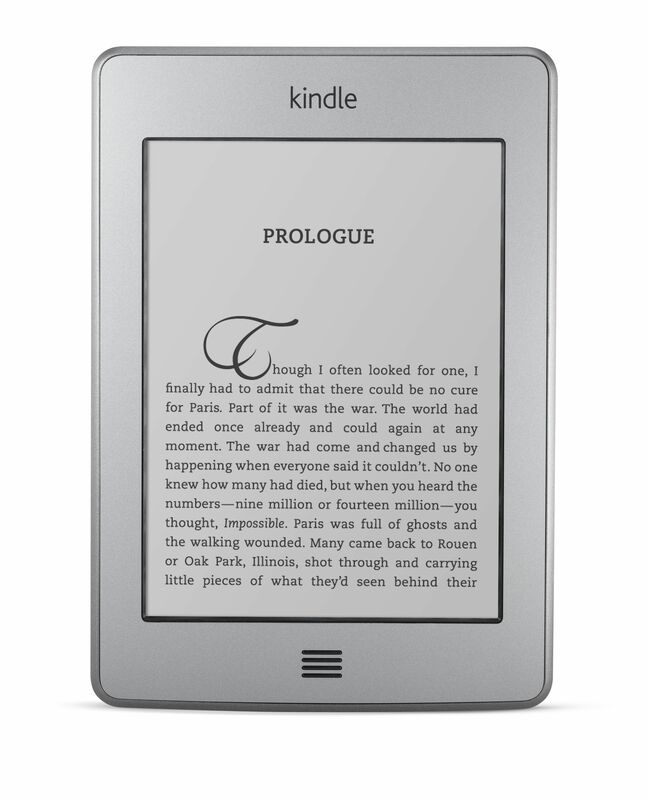 What about you–do you find you read both ebooks and printed books, or only one or the other? I realized I should’ve mentioned earlier that no post would be going up yesterday, since it was Good Friday and a holiday (and wow, I was glad to have a holiday after writing so many history papers!) Instead, I’m putting up a short post today. I came across this article on Time.com the other day, discussing how our minds just don’t absorb the details of what we read as well when we read e-books, as when we read the same book in print. And I have to agree, to some extent. I also sometimes am assigned textbooks as e-books, and it is sometimes incredibly difficult to absorb the information from them . On the other hand, I love the fact I save money on them, and will always choose textbook available as a free e-book from the library over being gouged on the print version. Another upside is being able to easily search the text for a keyword, or a half-remembered argument you were sure the author made somewhere in the book, rather than endlessly skimming print pages in a fruitless search for a certain quotation. The argument in the Time article is that people remember things better in the print version by landmarking where they found information, such as remembering it was at the bottom of a page near an end of a chapter, and this was incredibly interesting to me. Sometimes, when writing an exam, I can see exactly where the information I need to know was in my textbook (though it has happened that I still have no idea what the answer is). If only my memory worked like a camera! And, lastly, this leads to interesting implications for writers of e-books. Maybe intense fantasy tomes with hundreds and hundreds of names, and an incredibly complex invented society, are not the best choices when writing an e-book. Maybe readers are actually looking for a simple story, “light reading,” that’s a pleasant distraction while riding the bus. I wonder if, in the future, authors will write differently if they intend their work to be an e-book, or if they intend it to be released as a print version. It depends how well this e-book craze takes hold. I guess we’ll have to wait and see!